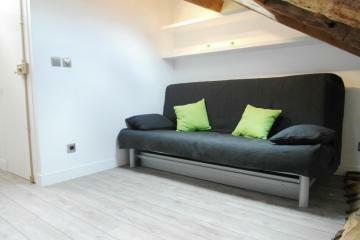 This 36 square meters studio apartment in Paris is situated on the first floor of a 17th century building. Completeley renovated and fully furnished, this authentic Parisian apartment will provide you all the comfort you need for your stay. 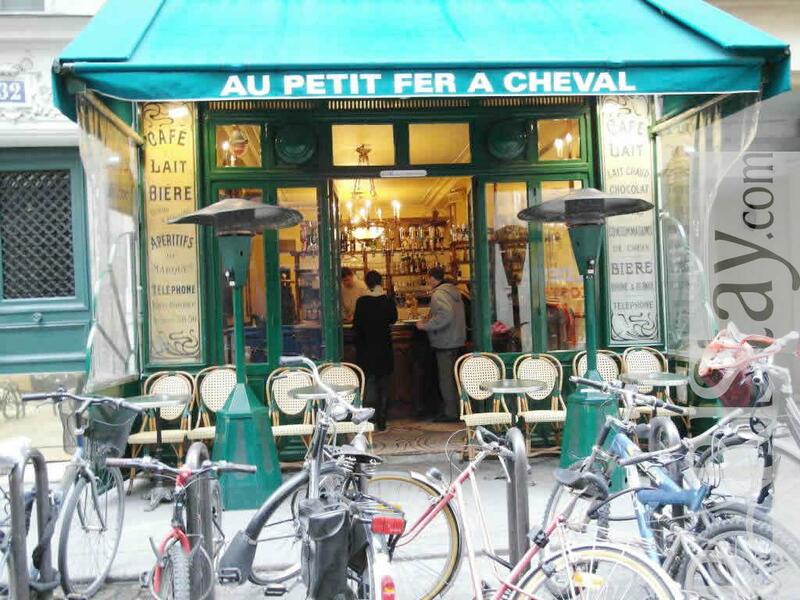 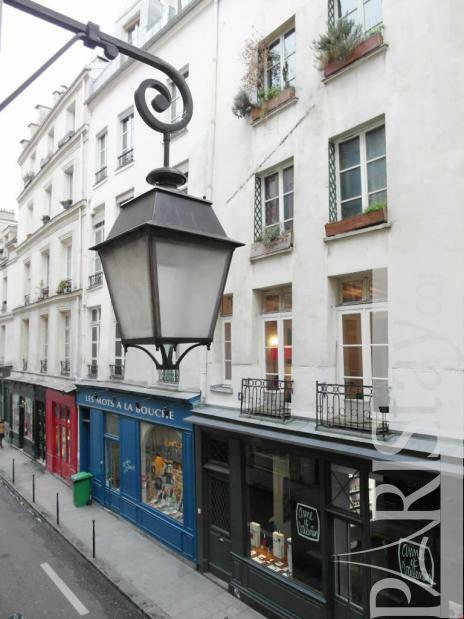 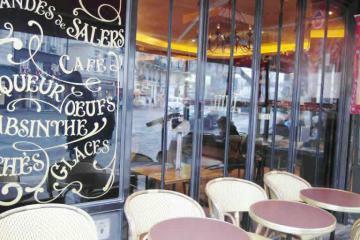 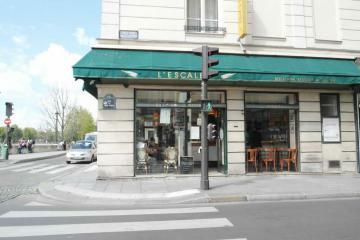 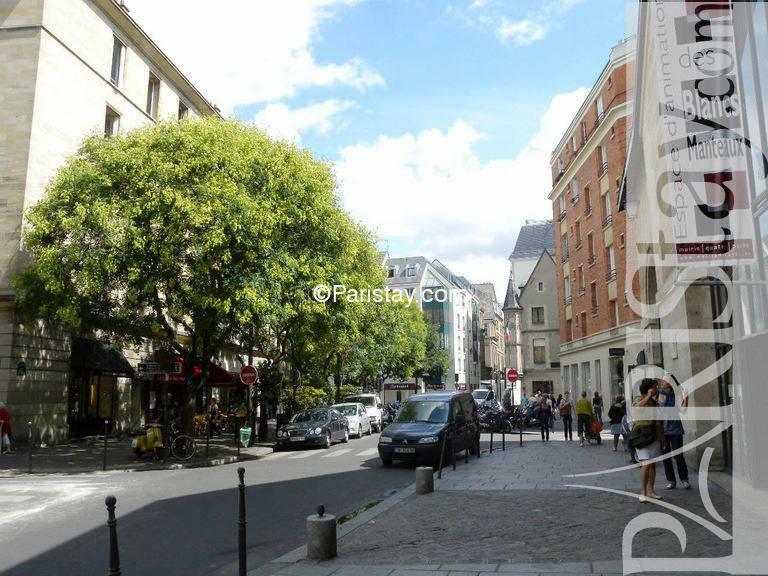 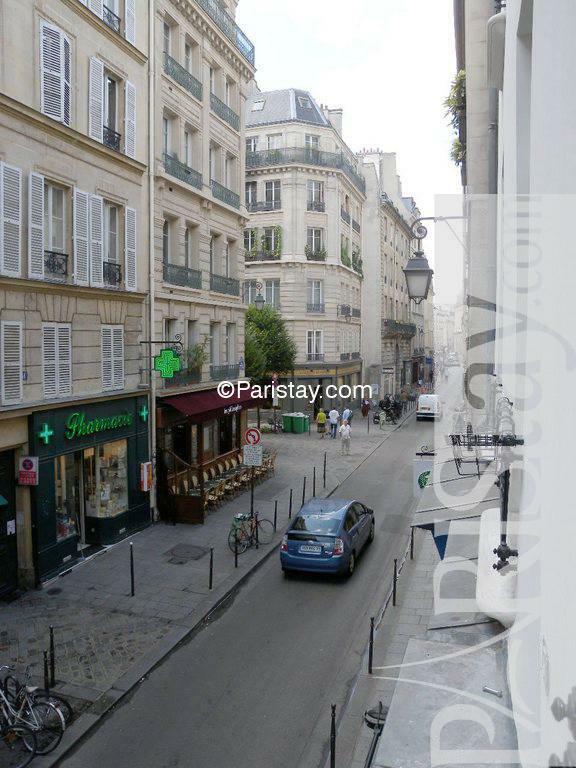 Located in one of the most enjoyable and liveliest part of the city: Le Marais area. 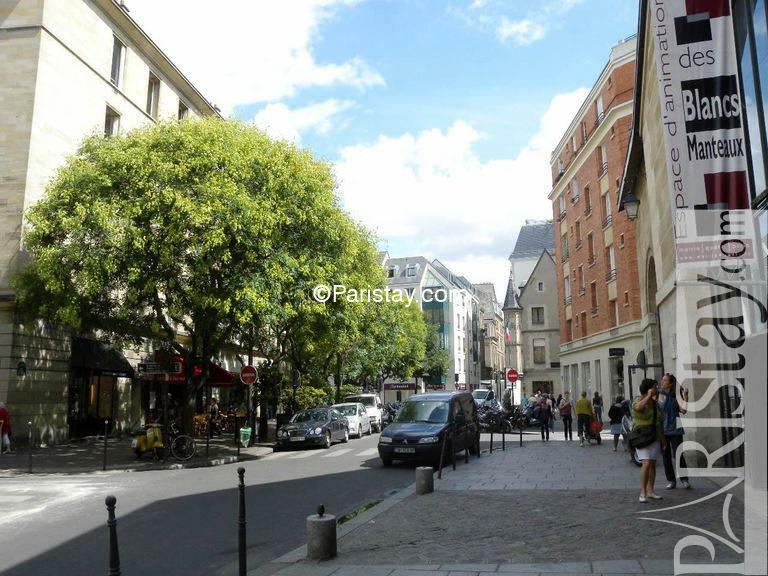 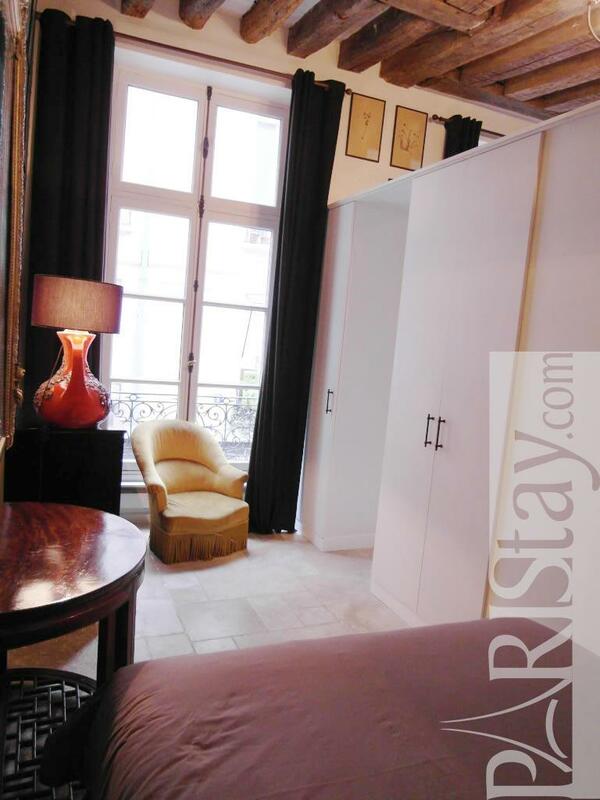 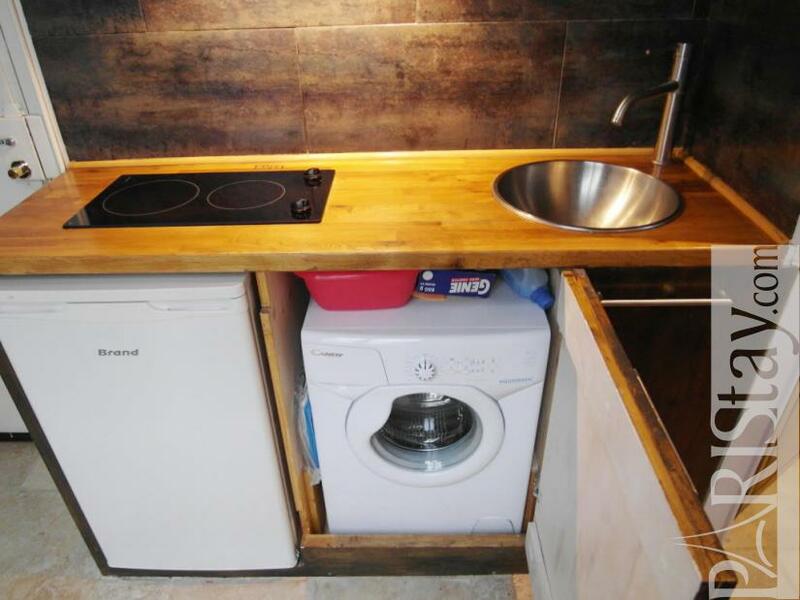 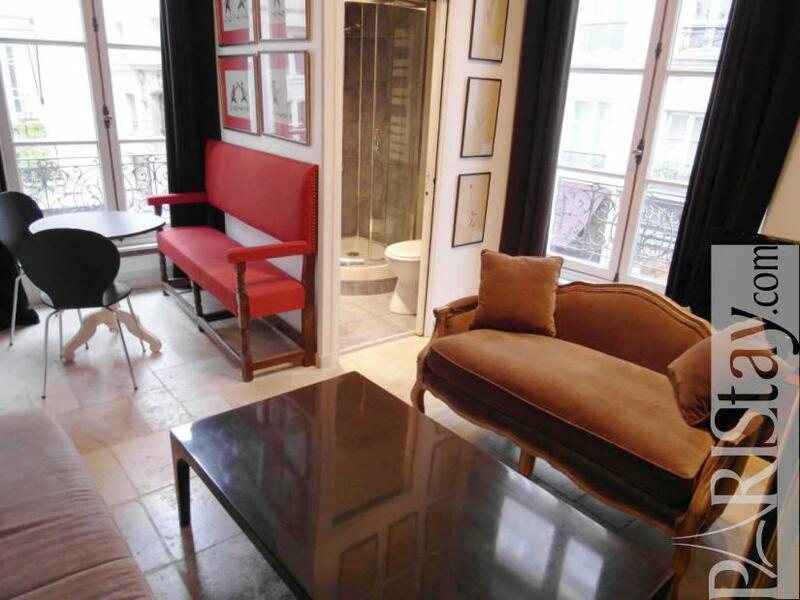 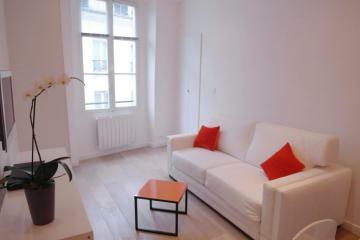 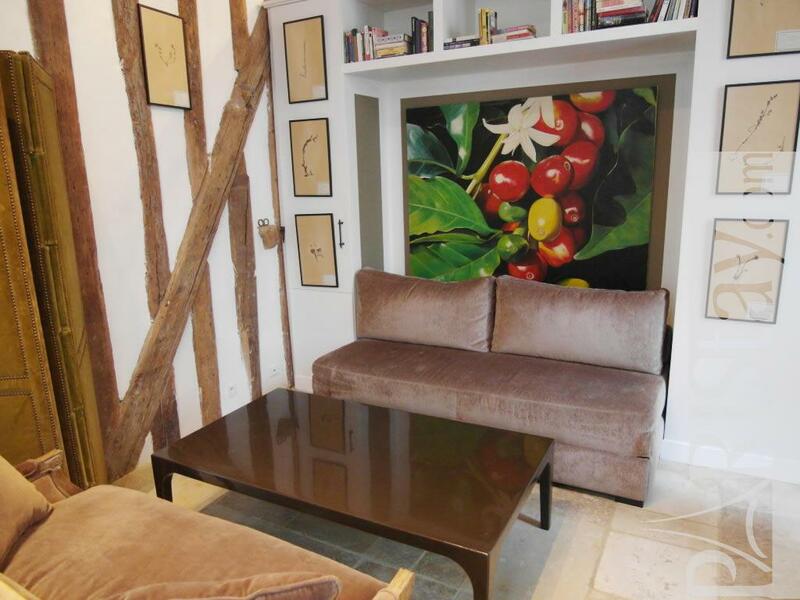 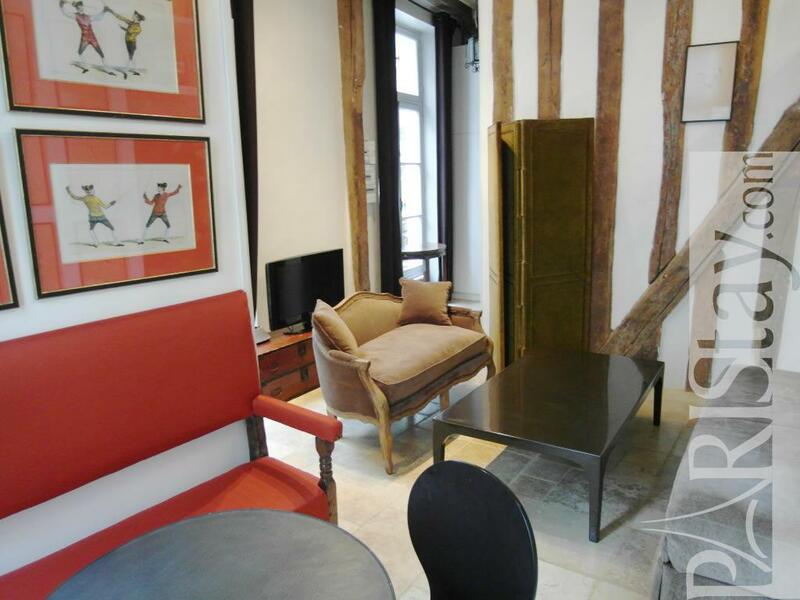 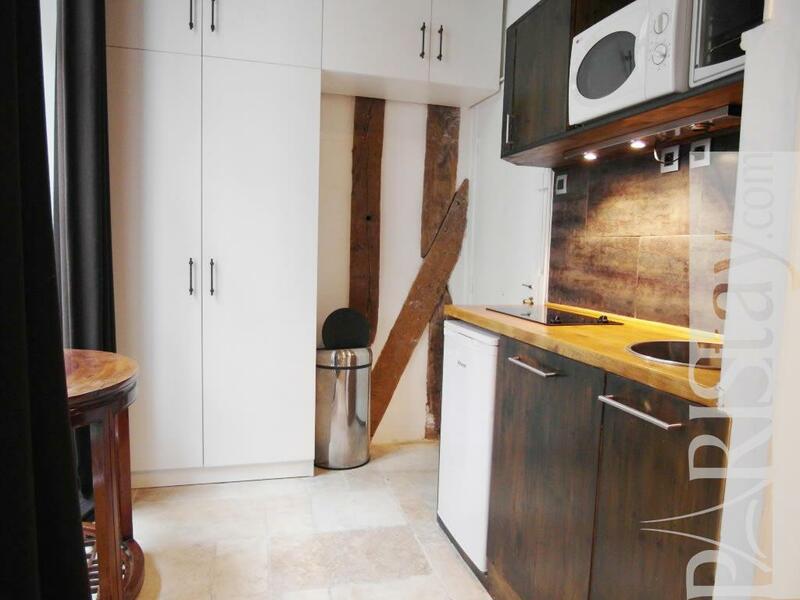 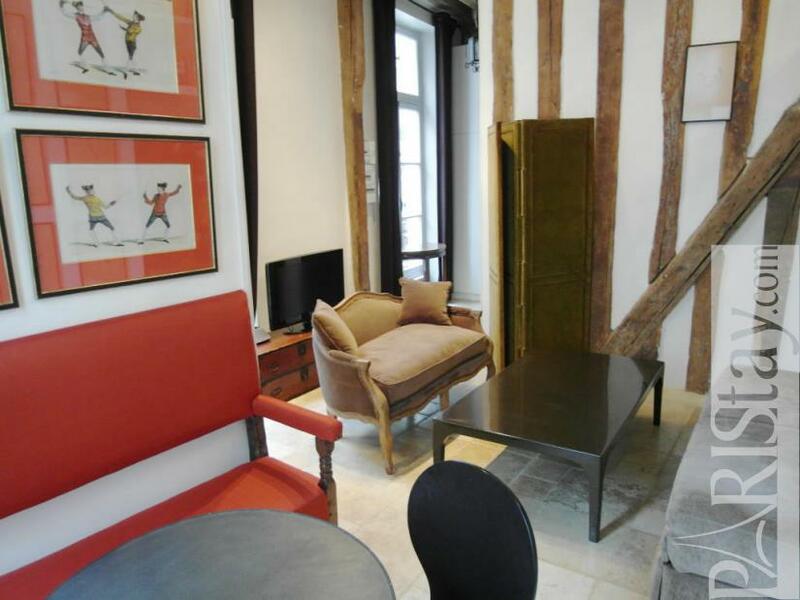 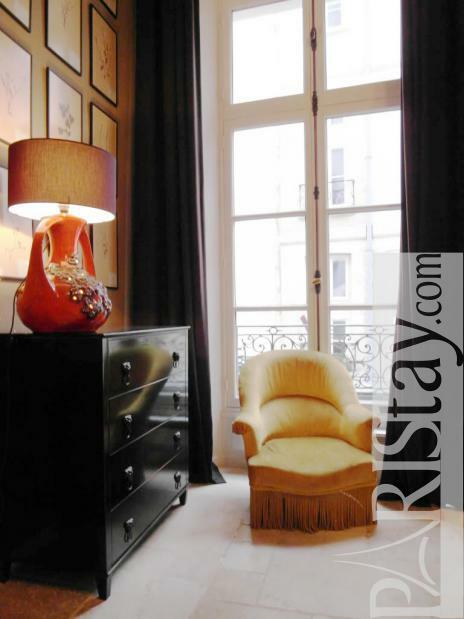 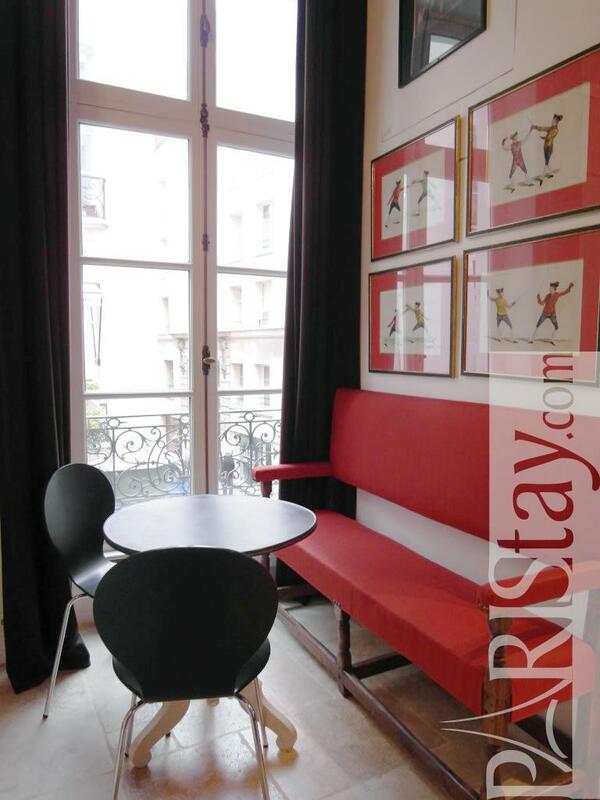 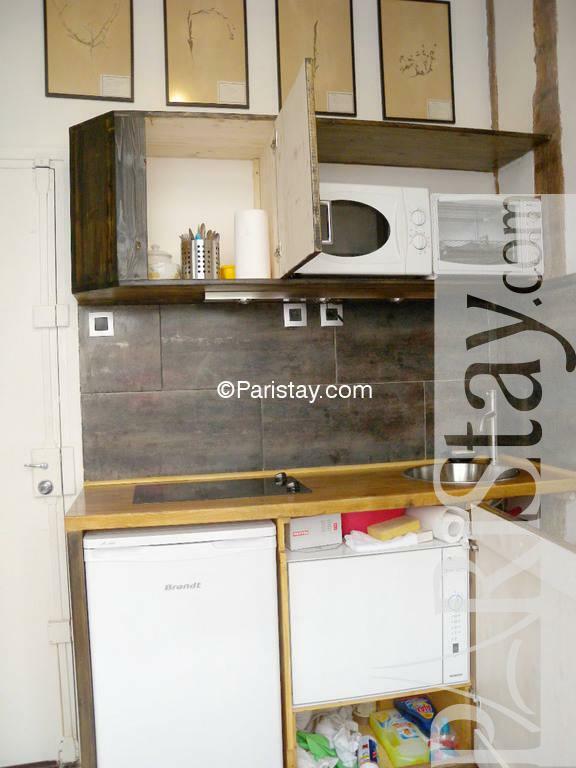 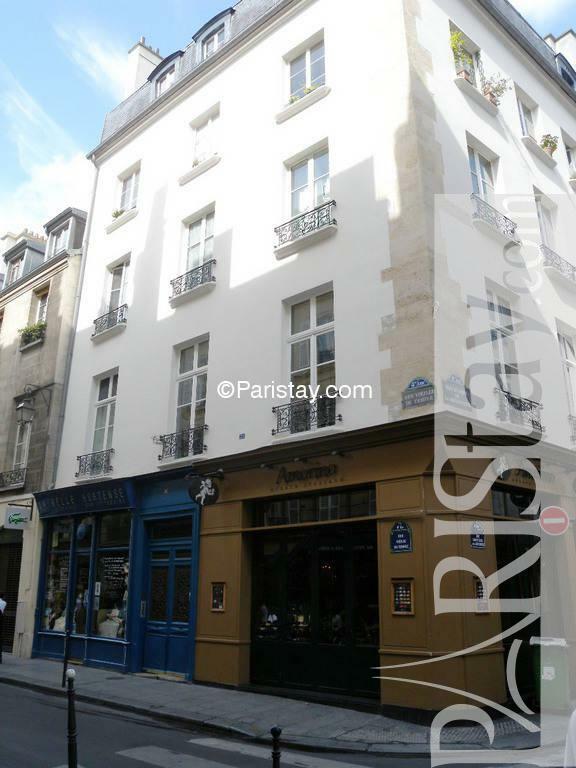 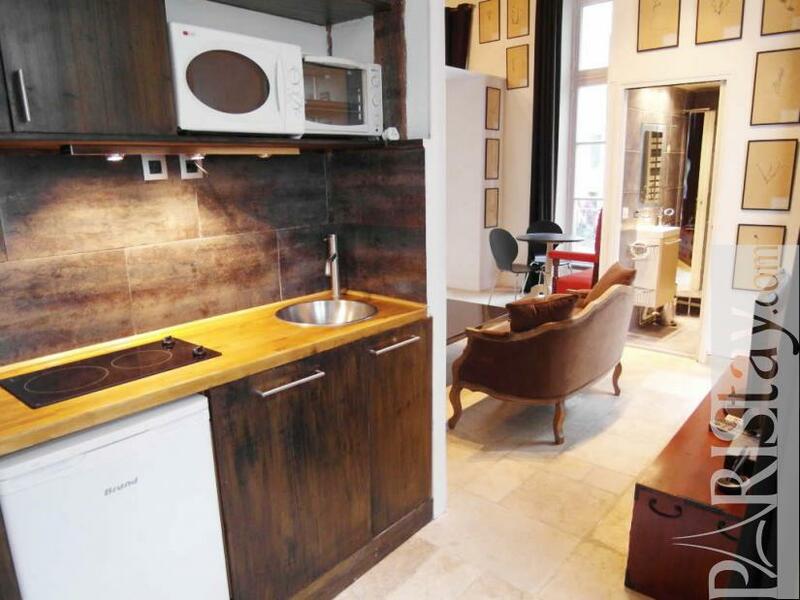 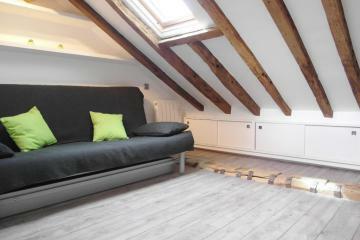 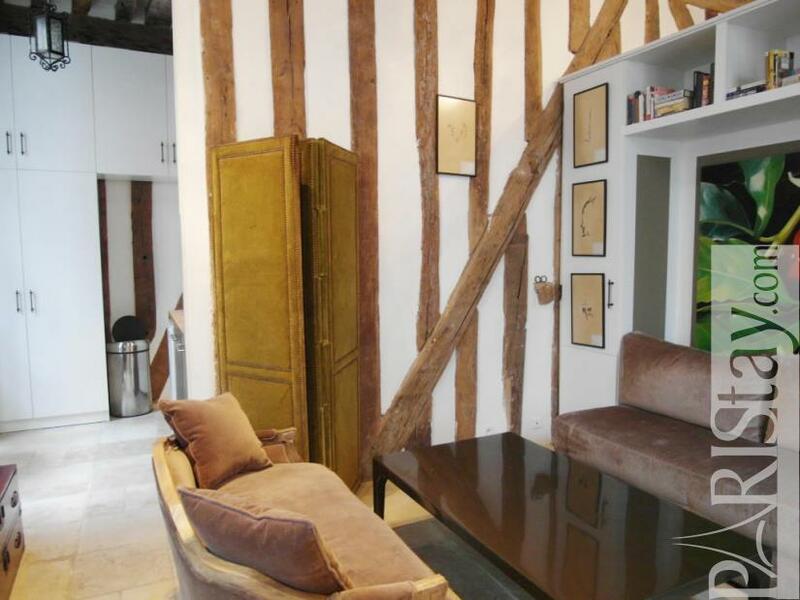 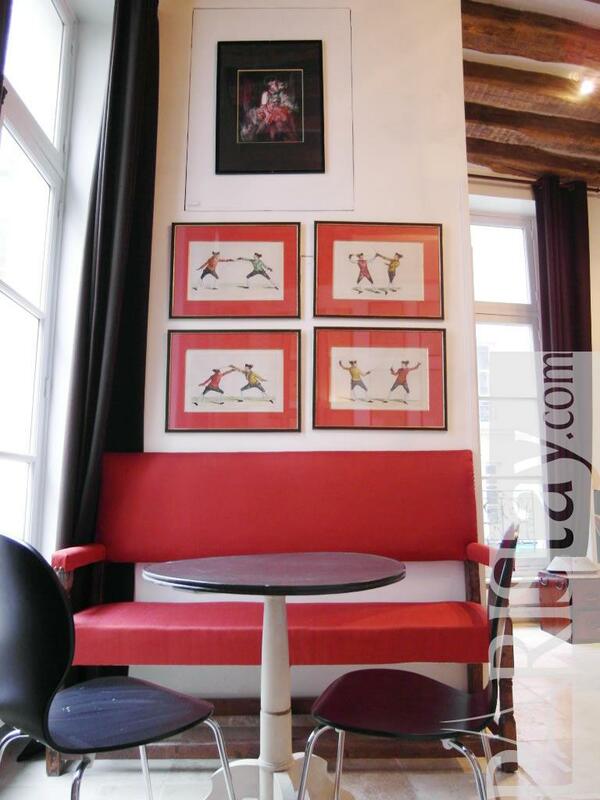 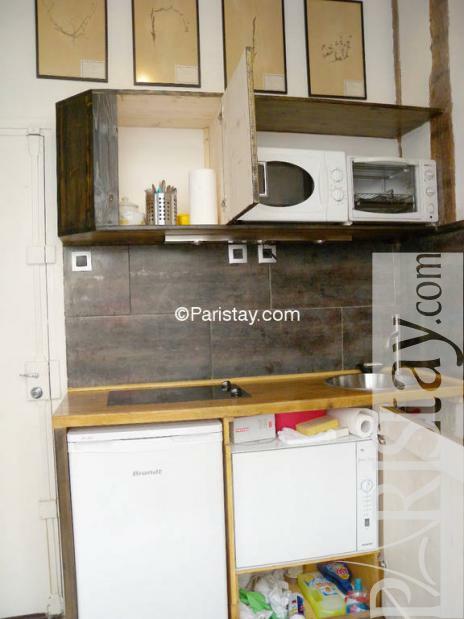 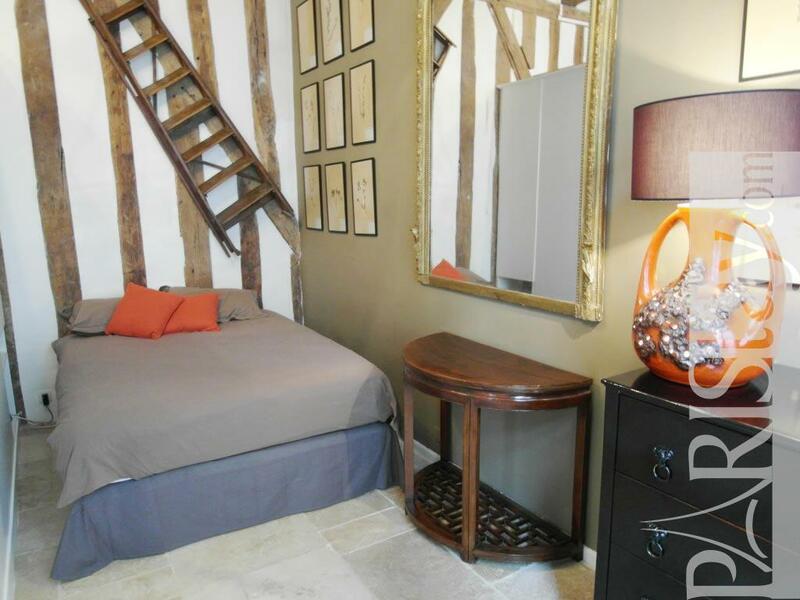 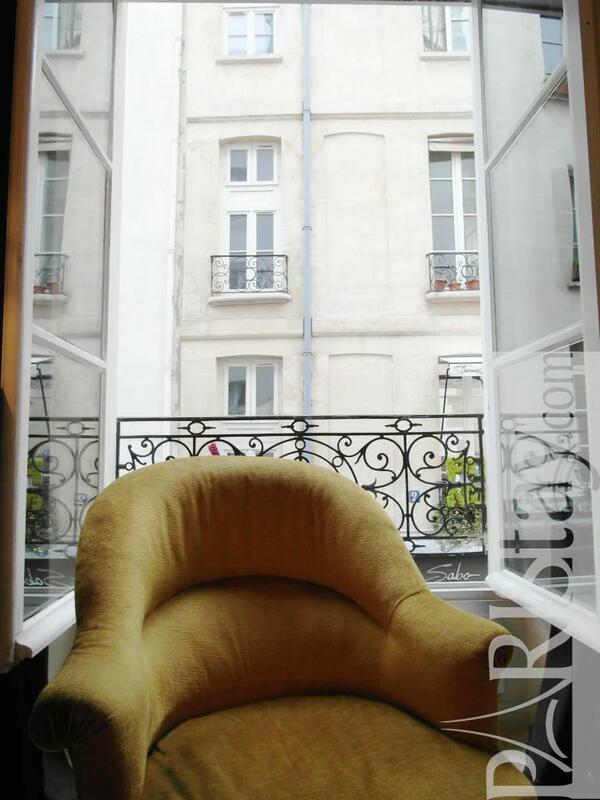 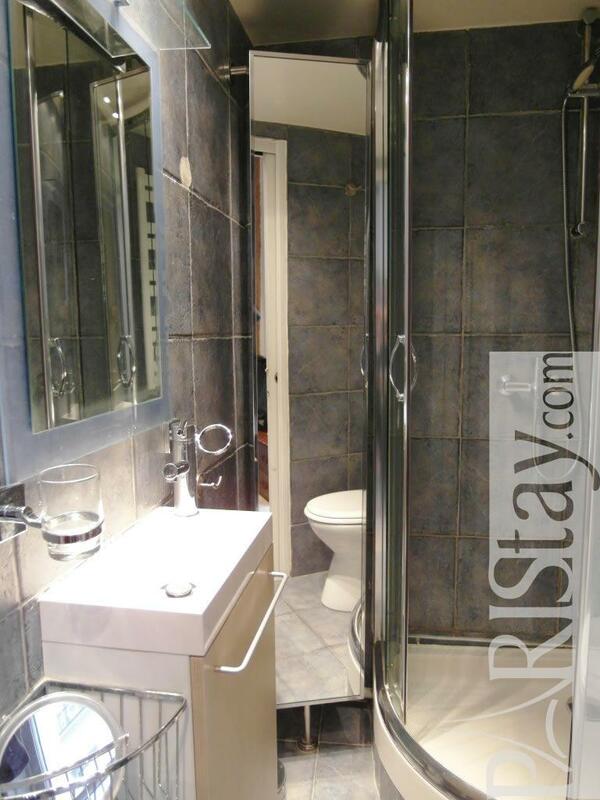 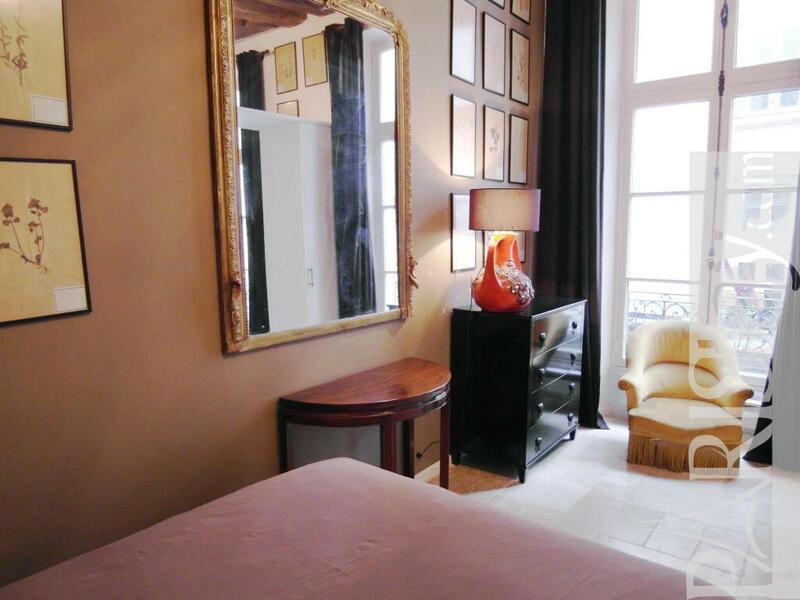 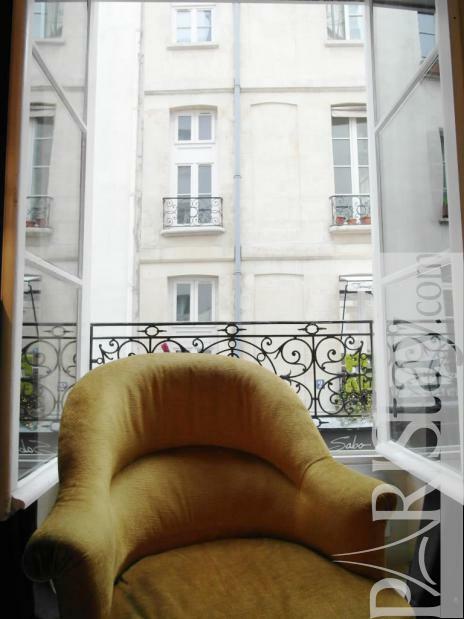 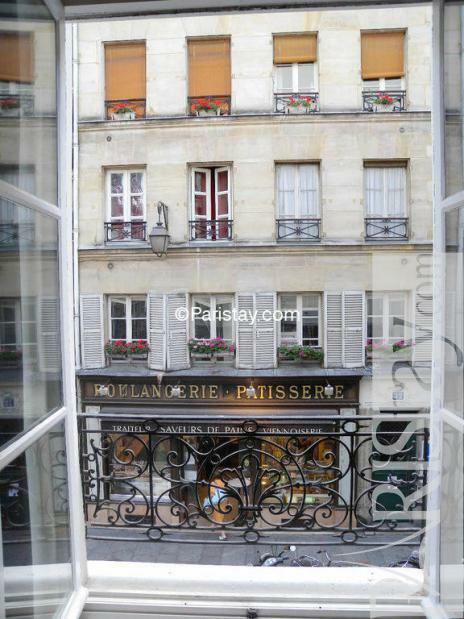 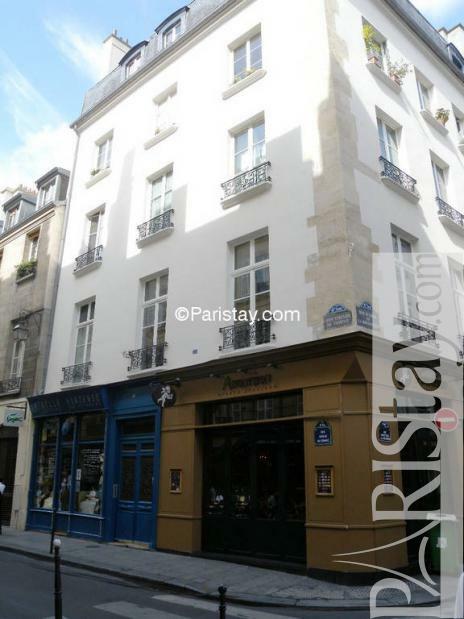 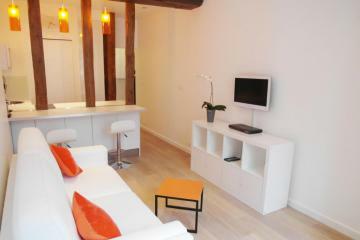 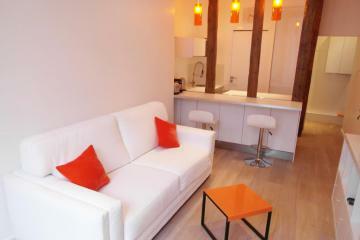 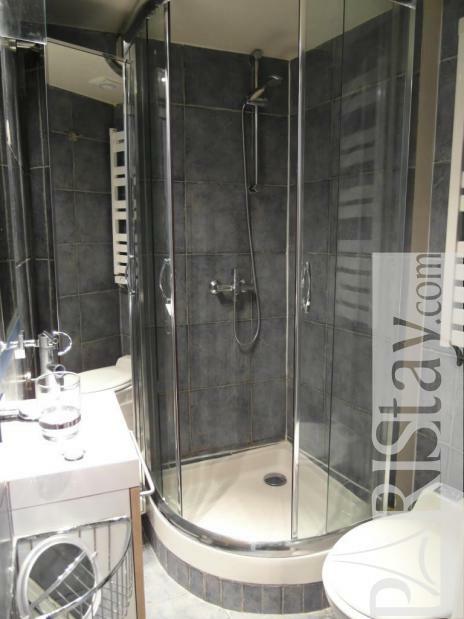 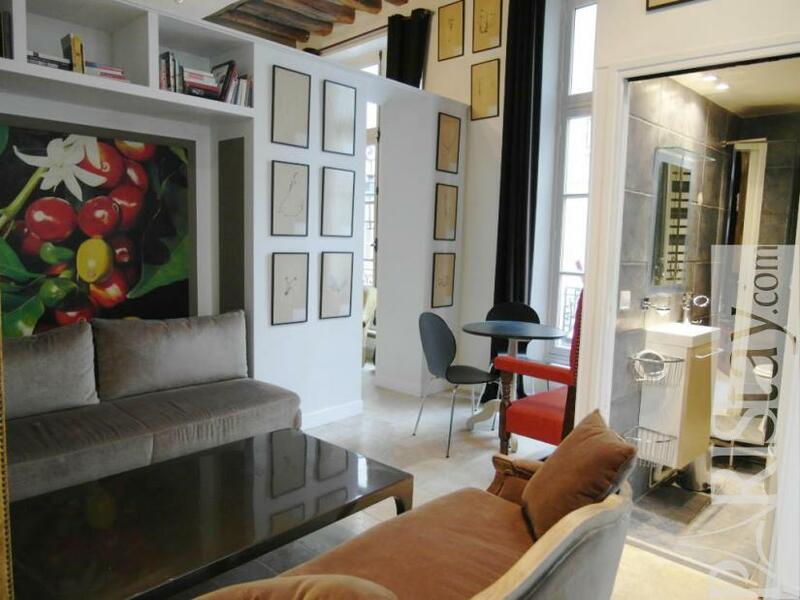 This beautiful studio for rent in Paris is the perfect place for Paris long term rentals. 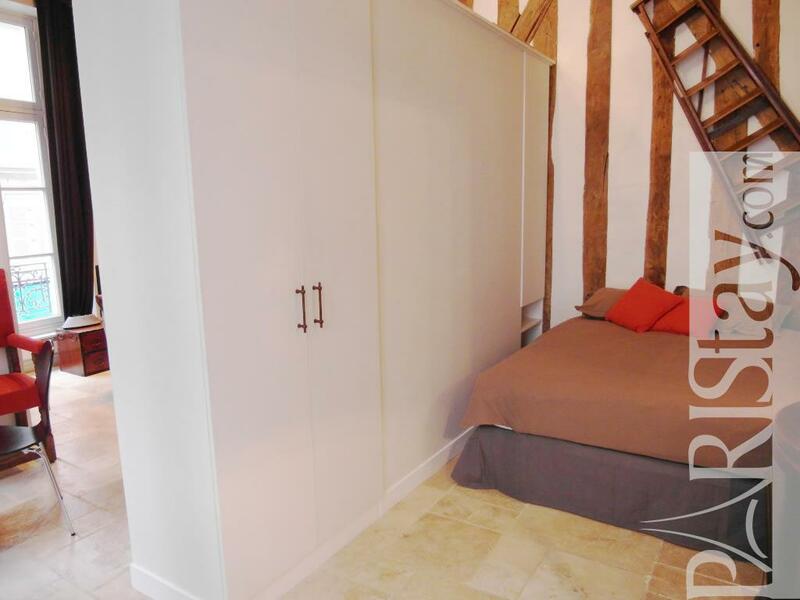 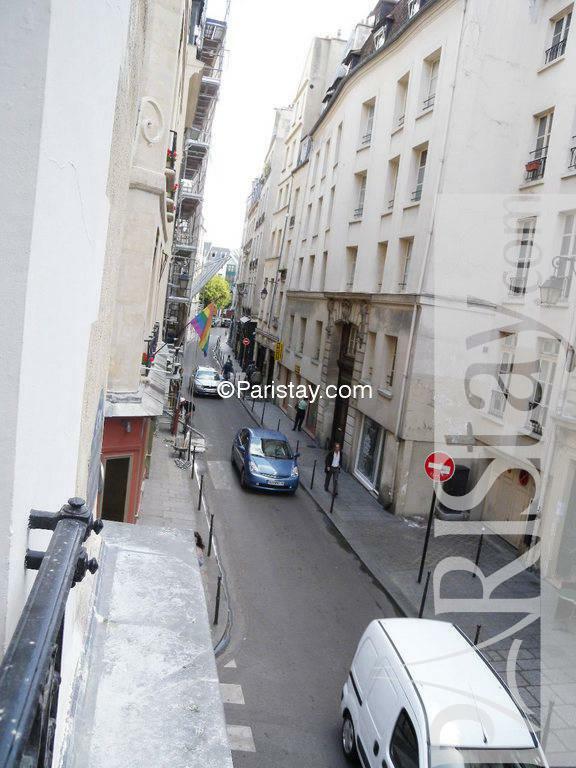 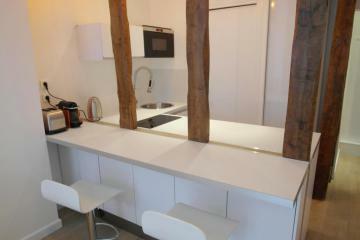 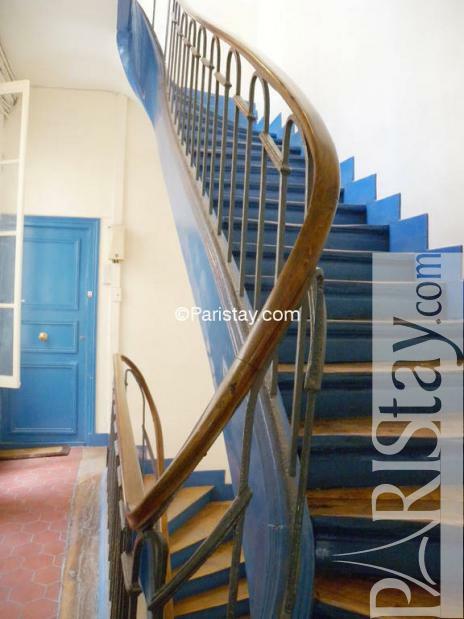 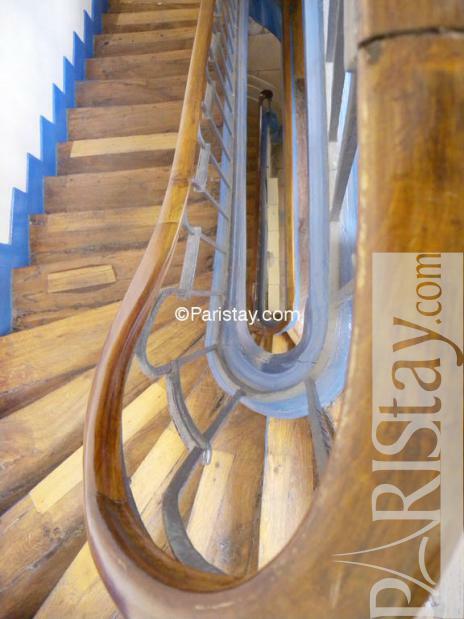 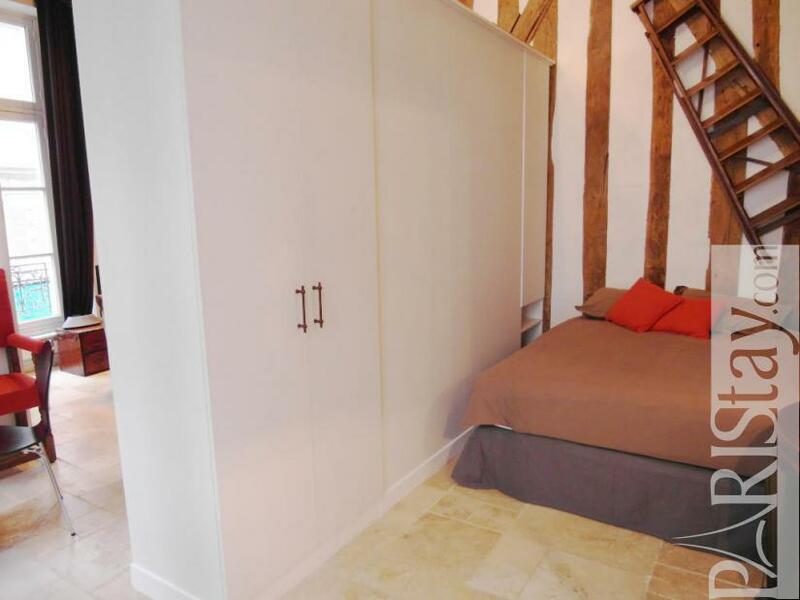 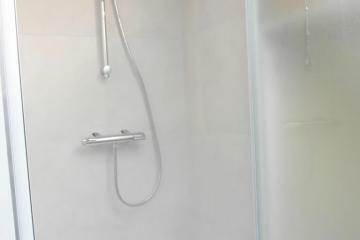 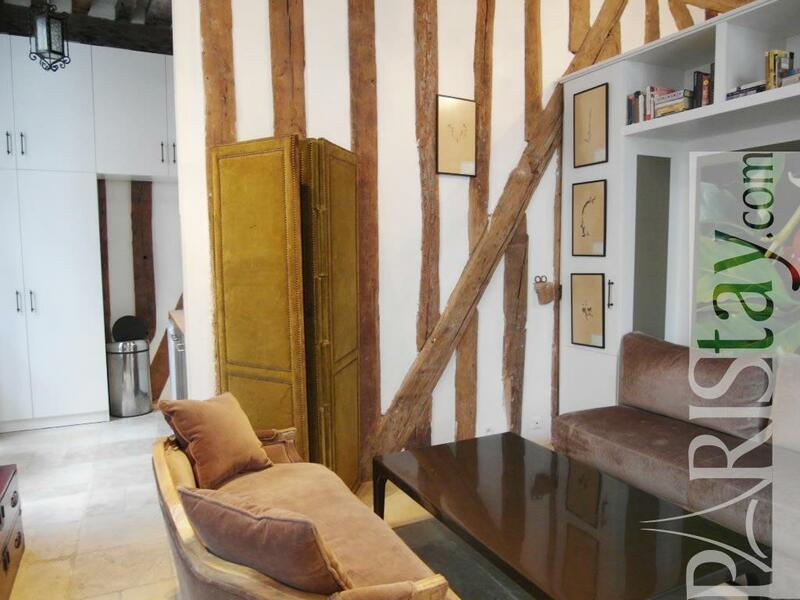 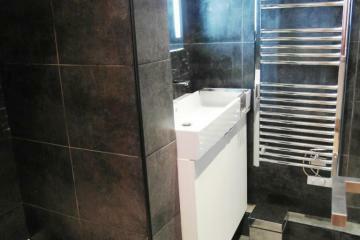 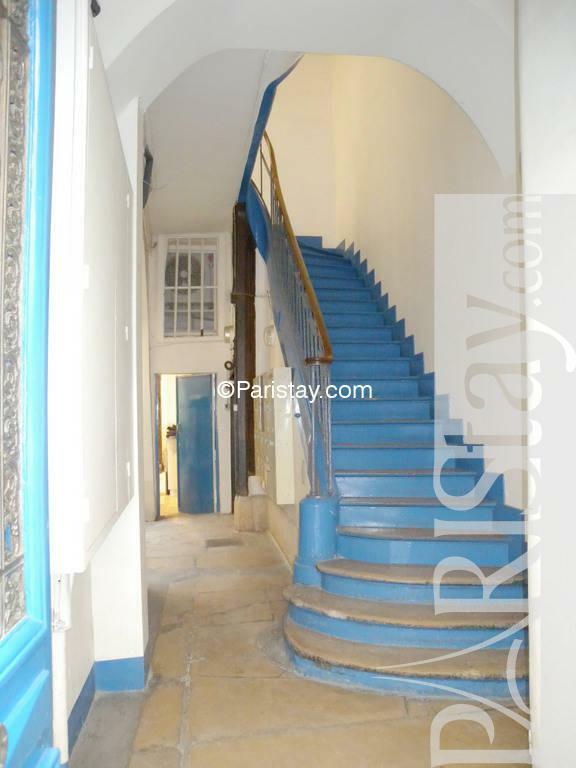 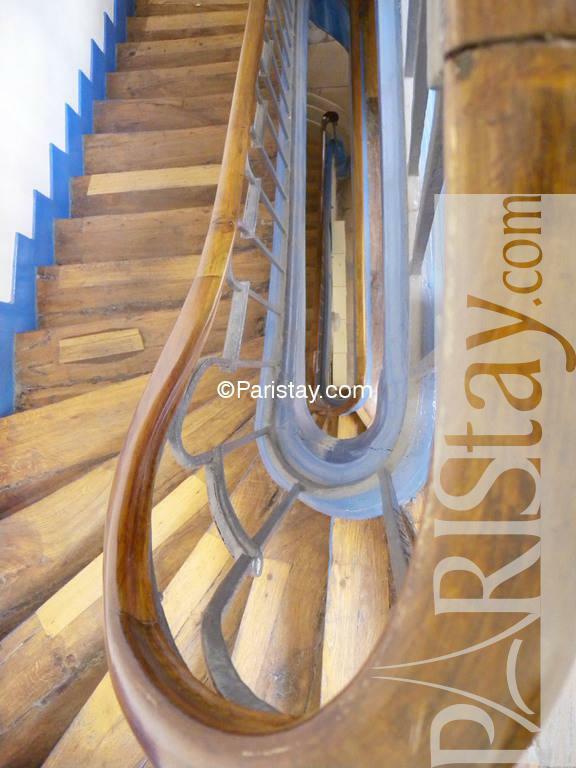 1680's Building, 1 st floor, without Lift, entry code security system, Studio Appartement, furnished, Approx: 36m² / 387 Sq.Ft.